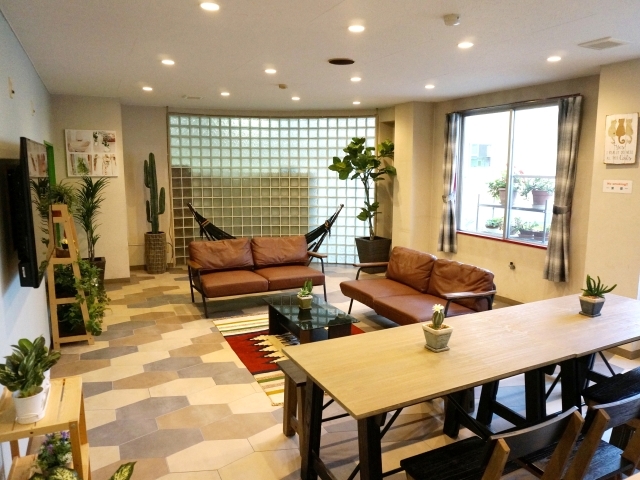 share house in Japan, Tokyo. 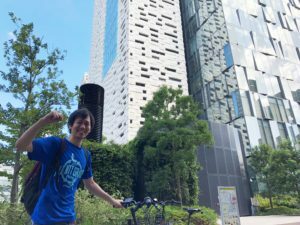 [interwhao] > Happiness Report > Area information > Exciting bicycle trip around Shinjuku! 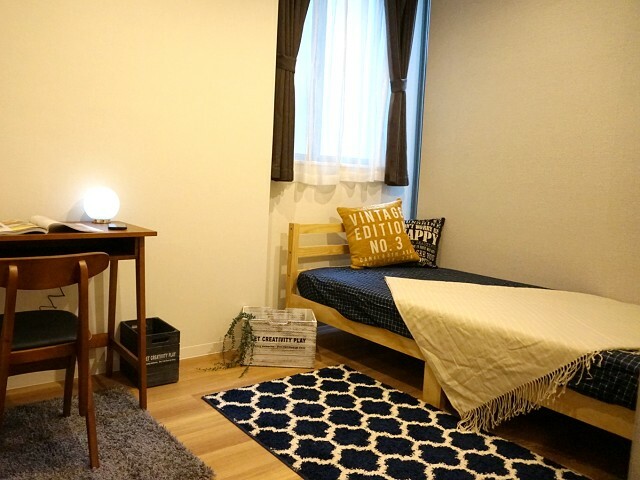 We finally opened a long-awaited one room apartment in Shinjuku area!! 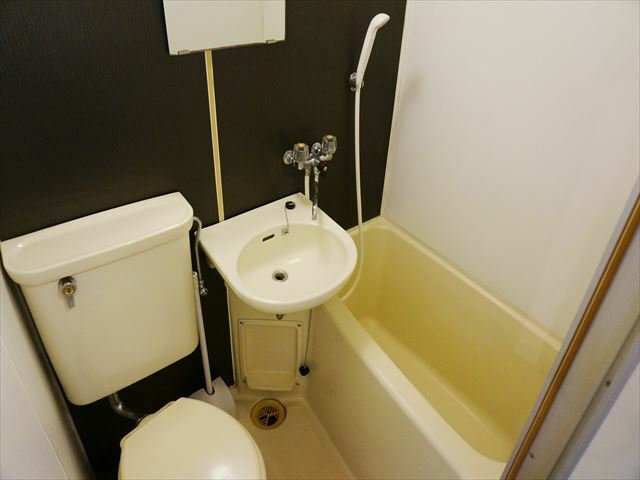 The nearest station is “Wakamatsu Kawada St.” in Toei Ooedo Line, 5 min walk! 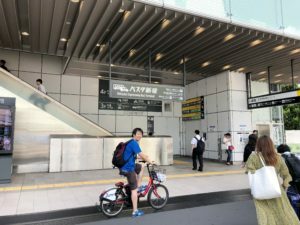 The next station “Higashi Shinjuku St.” (Tokyo Metro Fukutoshin Line is also available) is only 12 min walk! This time, the bad weather turned over to clearly nice sky, which made me want to run around Shinjuku area by bicycle! 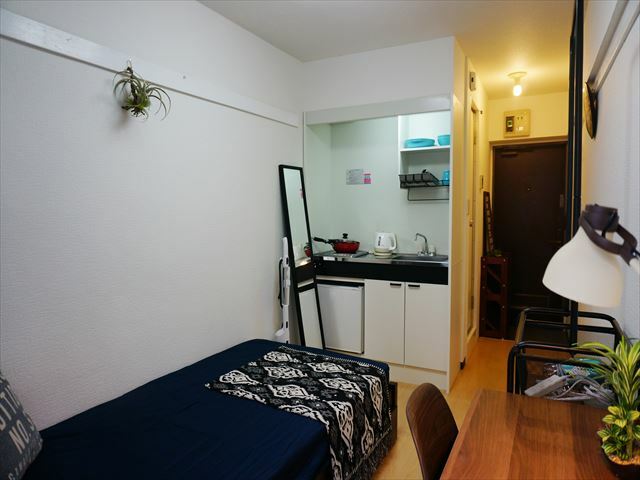 Mr. Sukegawa, who lives in this one room apartment in Shinjuku Yochomachi, will guide you to his trip. 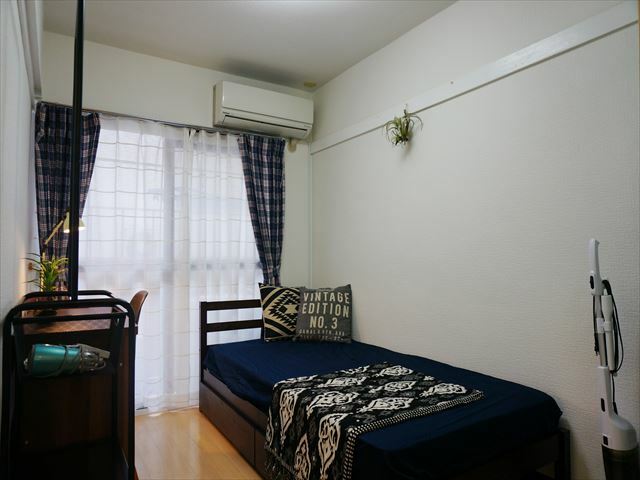 This property faces the south-east so that the nice sunshine comes in and it wakes him up greatly. He washed his clothes for today’s bicycle trip and prepared for it quickly to show you the good places around here. Preparing a green tea may be the most important thing against the heatstroke! ＜AM9:00> Super exciting trip which he was looking forward to doing from yesterday! 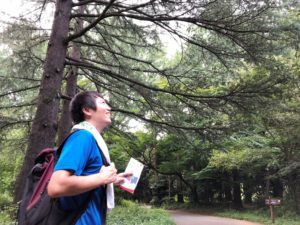 Even though the Shinjuku area has lots of high buildings, there are many greens such as “Shinjuku Gyoen” and other sightseeing spots. 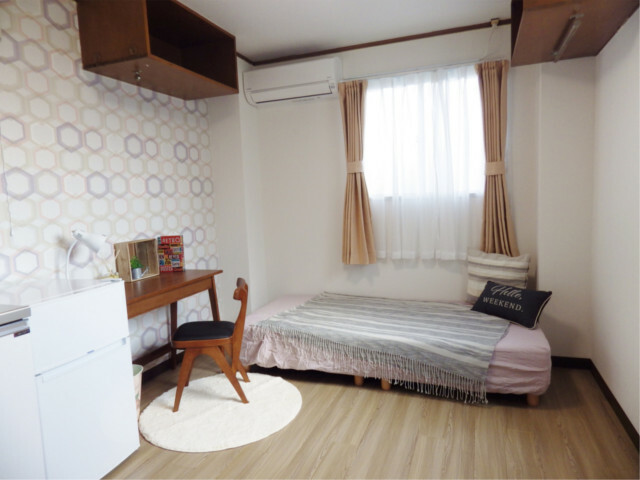 You can enjoy this area throughout a year. 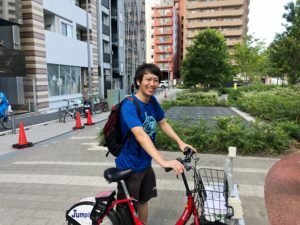 Completed to rent a bicycle at a renting spot, 10 min walk from the property! 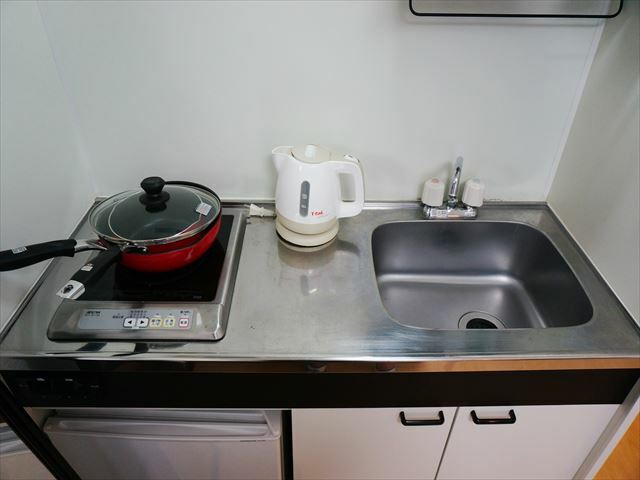 Renting for the necessary time when needed. 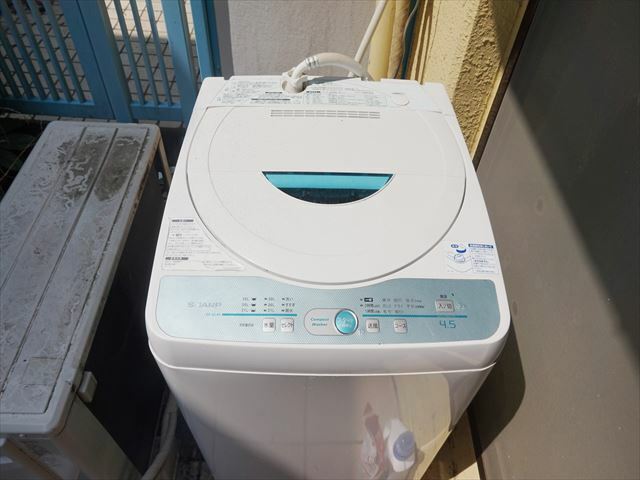 He realized that the age of eco-friendly ecology has come. 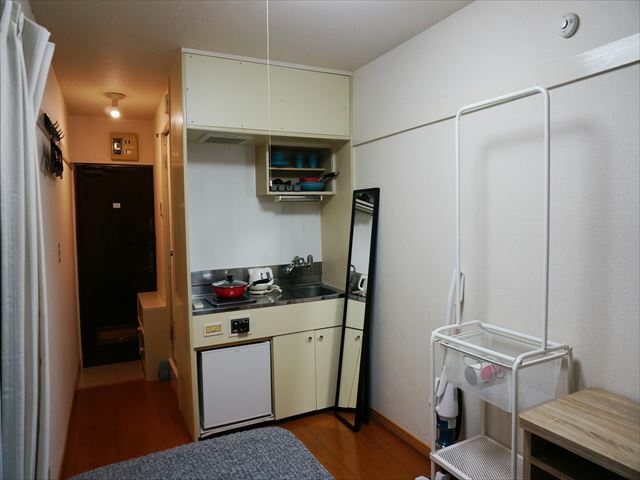 By the way, this Interwhao’s property has shower, bathroom, and kitchen in each room, and delivery box in a common space. The minimum contract period is 1 month. This is also reasonable and eco-friendly ecology in a sense. Then, I will go around to find something new! 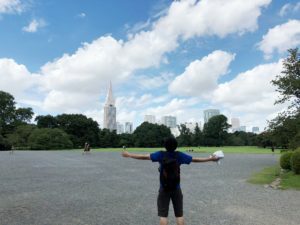 The first one is “Shinjuku Gyoen”, one of the greatest oasis in the big city in Tokyo, Shinjuku. It is only less than 10 min ride from the property. Even if you walk, it takes only about 20 min. 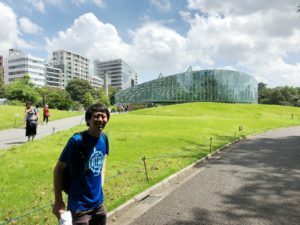 Mr. Sukegawa said that here is the one of the most precious places for him because there are lots of greens here. Since there are so many high buildings, here is absolutely recommended. In “Shinjuku Gyoen”, there are Japanese garden, French garden, English garden and so on. A thousand trees of cherry blossoms stands so here is the best spot to enjoy spring. Other than cherry blossoms, seasonal trees and flowers, “Azalea” and “plum trees” are in full bloom in some seasons. In Fall, autumn leaves is also very beautiful. There is an oasis to relax in the city in about 10 minutes from the property. There is no doubt that you will be healed on the weekend! There are also greenhouse houses, so there are many plants in the tropical areas that you do not usually see and you can find new ones here as well. You can take a break in some spots in Shinjuku Gyoen, so you can relax here. 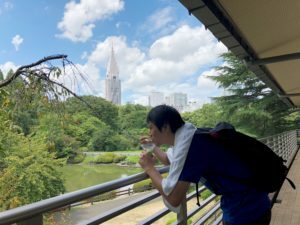 He loves “Matcha ice cream” so he ate it with viewing Japanese garden and Tokyo Metropolis. Shinjuku Gyoen is listed in foreign guidebooks. 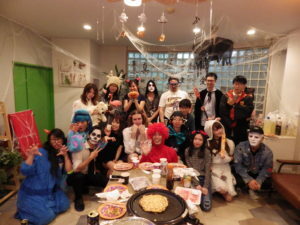 So not only Japanese but also many foreigners can be seen. 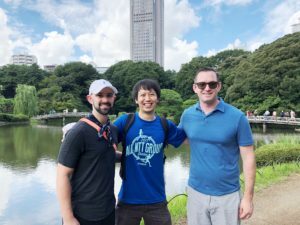 He tried to interview two tourists! Mr. Greg and Mr. Chris from Los Angeles. 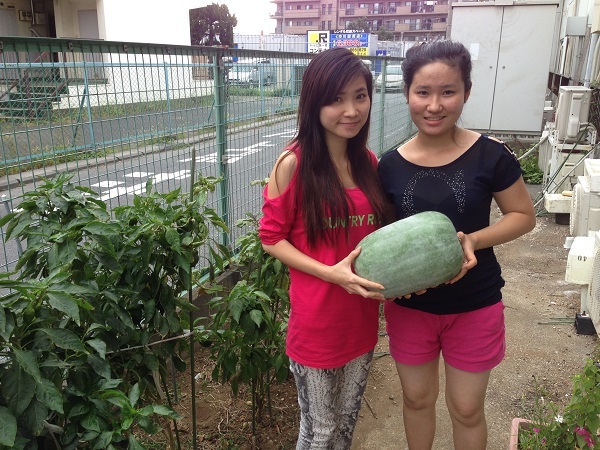 They said that they are interested in Japan. When they were in US, they saw Japanese garden somewhere, and then they were touched by it. So Shinjuku Gyoen was one of the places that they wanted to visit. 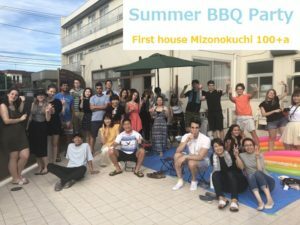 They planned to stay for a short term so the next goal is to visit another garden or somewhere to experience Japanese culture, they said. After relaxing in Shinjuku Gyoen, he stopped by bus terminal at Shinjuku station where it takes only 3 min ride from Shinjuku Gyoen. Surprisingly, this bus terminal has the most number of passengers in the world. Incidentally, the second place is Shibuya, the third one is Ikebukuro. 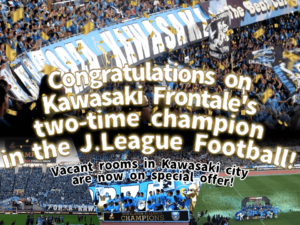 The fifth place is Yokohama. 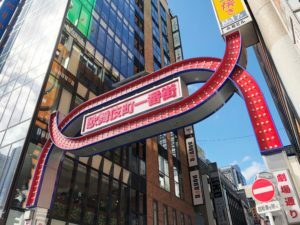 Although often seen on TV, “Busta” is an abbreviation of Bus Terminal Shinjuku literally. 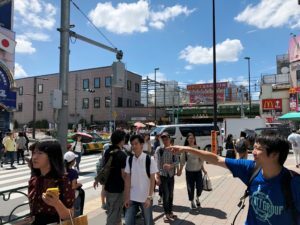 You can go by bus from Shinjuku all over Japan, so people come to Shinjuku as sightseeing from the airport, and visit other areas by bus. 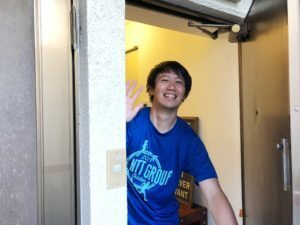 You can go to Mt. Fuji, Hida Takayama, Kamikochi, Oze, Nikko, Izumo Taisha, and anywhere in Japan. 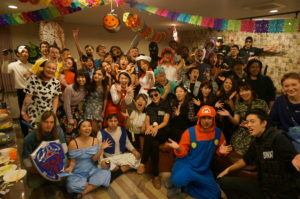 Mr. Sukegawa who loves talking with foreigners decided to go to Waseda University where there are many foreign students. 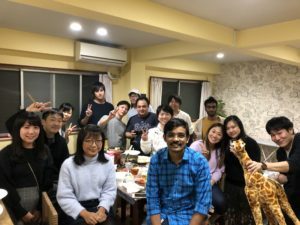 Because of this job, he meets many foreign students and wonders why they come to Japan and what they want to do. 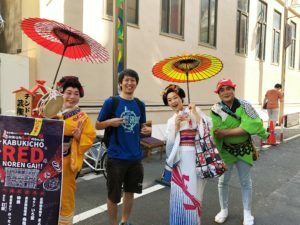 He enjoys listening to them who are interested in Japan so it is a precious experience to know new things for him by interacting with them. 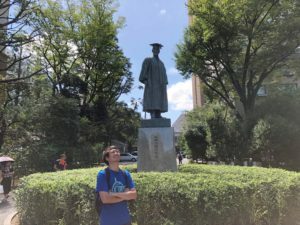 Waseda University where it takes about 20 min ride from Shinjuku station! Incidentally, if you walk from the property, it takes about 20 min to the university or 10 min ride. 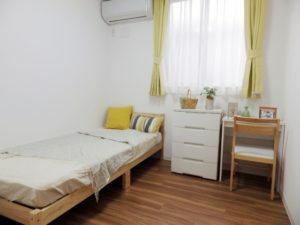 Interwhao’s Shinjuku one room apartment has not only a private shower, bathroom, and kitchen, but also furniture and electric products such as air conditioner, refrigerator, and vacuum cleaner in each room. 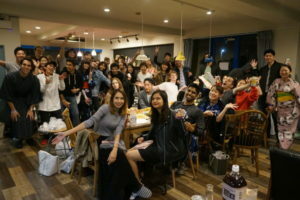 and they can enjoy the Tokyo life! 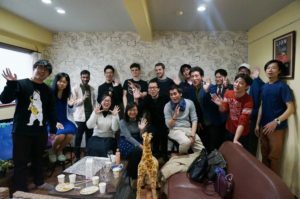 Of course, it is the same for other students and foreign students. 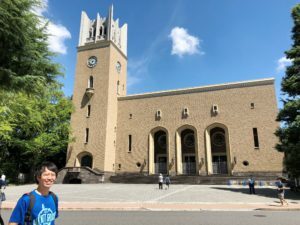 ＜AM11:15> Stopped by Waseda University as well! 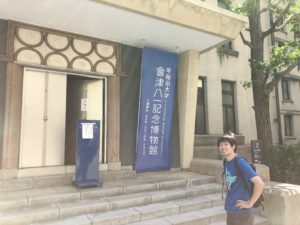 “Aizu Yaichi” Memorial Museum is in Waseda University, and about 18000 items such as research materials from the establishment of Waseda University, excavation materials of archeology, collections of works of art, etc. are exhibited. Today was closed but when it’s open, anyone can come in for free. If you visit around this area, you should go! 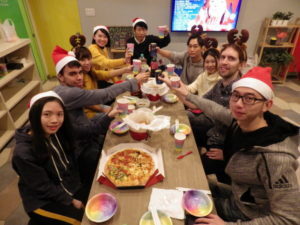 When he arrived, he couldn’t find foreign students because of summer break but he found a foreign family. Are they going around because the parents want their children to get into this university?? 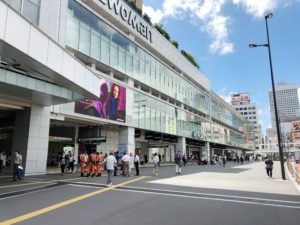 Changing the place, he arrived at Shin-Okubo. It takes 30 min. on foot from Waseda Univ., 15 min. by bicycle. From our apartment, it takes just 10 min. or more by walking and 5 – 6 min. by bicycle. Another close area. 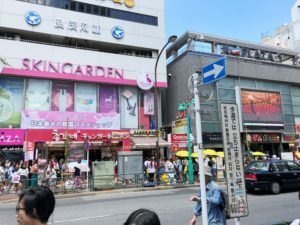 A “fad” comes not only from Shibuya or Harajuku, but also from this Shin-Okubo these days. 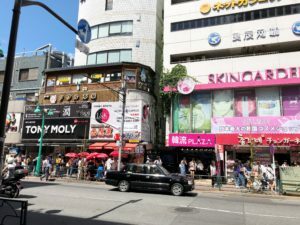 This Shin-Okubo is well-known as Korean Town in Japan, but for example a variety of spices from all over the world is being sold. So, in this area you can get almost everything from the world. When you feel like eating Korean food, it’s easy to come. Here, Cheese Dakgalbi is a trendy meal now. How about eating it all together? Walking a little far away from the station, there are lots of houses, where multi-national men and women of all ages live. 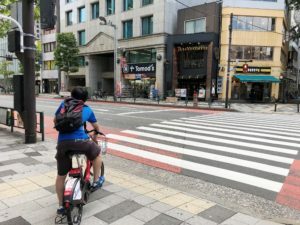 Because of summer break season, so many people were exploring the town. 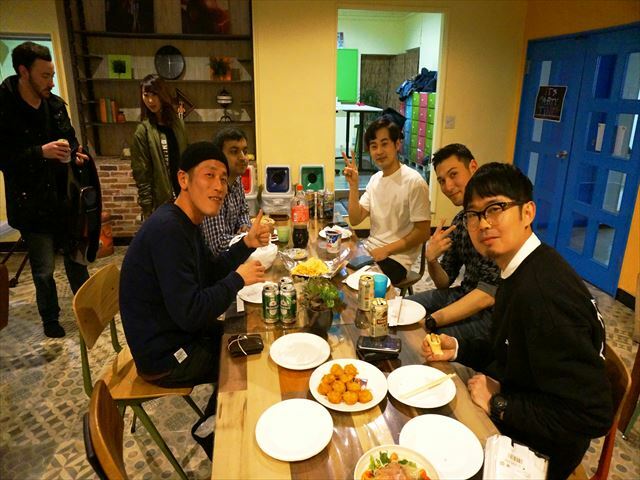 A little hungry, he went to eat another trendy food, a rainbow hotteok, which was broadcast on TV the other day. 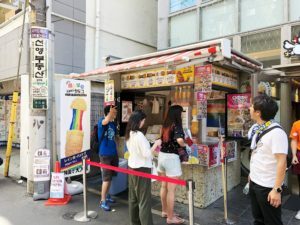 Rainbow hotteok looks like a corn dog. 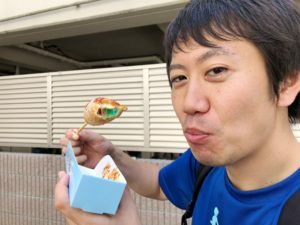 The taste is a bit sweat because sugar is coated., but 7-colored cheese in it makes the taste cheesy. Some camera crew were also shooting, so I am sure this will cause a great sensation!! Feeling good, he went to take a lunch break to fill his stomach. 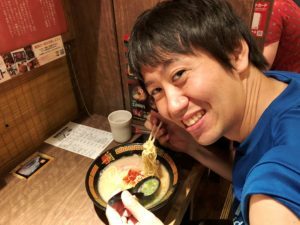 The place he chose is a ramen restaurant “Ichiran”. 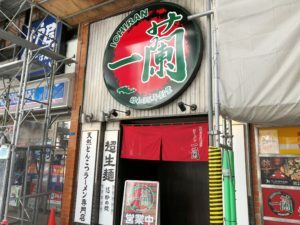 Ichiran has some branches in overseas countries as well, like Asian countries, New York. 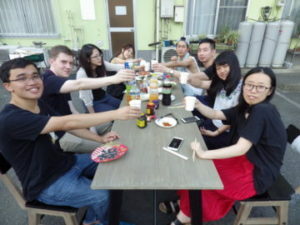 Therefore, many people from overseas countries were enjoying the noodle. Different from the ordinary, each seat (booth) is separated by partition on either side, which will make it easy for women to come along by herself. You can order the second dish of noodle with pen and paper on the desk. 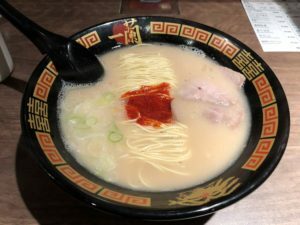 This is a pork-based ramen restaurant which is really popular among foreigners. It’s a usual scene that a lady comes in and eats a bowl of ramen. You can adjust hardness of the noodle and thickness of the soup. Also, you can choose if slices of roast pork are in or not, and select the level of spiciness. 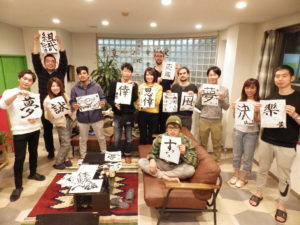 You can tell them your taste for ramen precisely because they use paper and pen for your order, good to people who do not know Japanese language. Another fad-creating town, Kabuki-cho. People might have an image of a little danger. Now that touting customers is regulated, many people come along regardless of day time or night time. Unique miscellaneous goods, and TV games… popular especially among people from overseas. 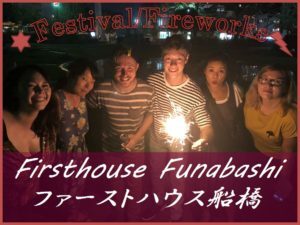 He happened to meet Japanese people with flashy clothes who foreign people probably get to like. Seems like they were promoting their store for an event in the town. 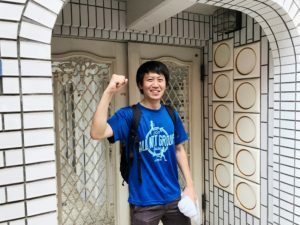 An encounter like this is specific to Shinjuku Area. 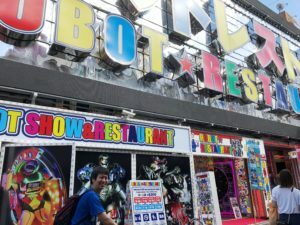 This time he couldn’t enter the restaurant because customers need a reservation for food and showtime. But I recommend you going to this restaurant with friends. 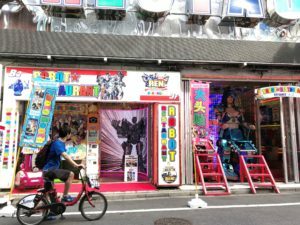 There seems 50 robots exist inside and an artist used here for shooting his music video. You will be surprised getting into here and looking at how fancy it is. Headquarters of many world-famous companies exist here in Shinjuku. 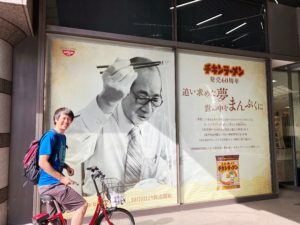 In cycling, he found Nissin Foods Holdings Co., Ltd that created a cup noodle for the first time in the world. 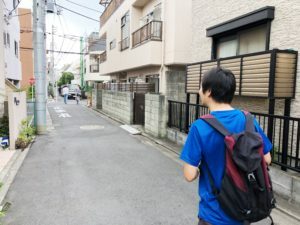 Going farther, he found another world-famous company that has led our game industry, SQUARE ENIX Co., Ltd., the creator of popular Final Fantasy and Dragon Warrior. 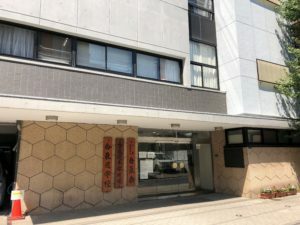 In this building, there are restaurants or convenience stores that unauthorized people can enter. 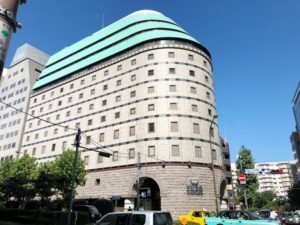 By the way, the bicycle he rent today is from around this building. 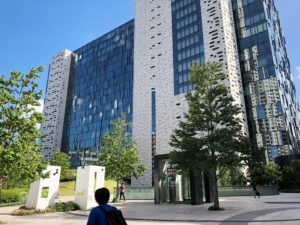 Living in a metropolitan is a good thing not just because it is convenient for commuting to school or workplace, but also because there are lots of places where you can relax or enjoy sightseeing. 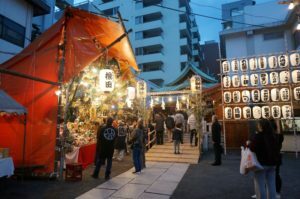 Especially, Shinjuku is one of the bests, considering popular spots around here. Since it was a hot day today, 34 degrees, he took a shower and cooled the heated body down by AC. Now he prepares himself for his new hobby, martial arts. <16:30>A New Hobby, Shaolin Kung Fu, Pumped Up!! Stopped feeling sweaty, he headed to a school for Shaolin Kang Fu. Since he is still a novice, sorry for his pose!! 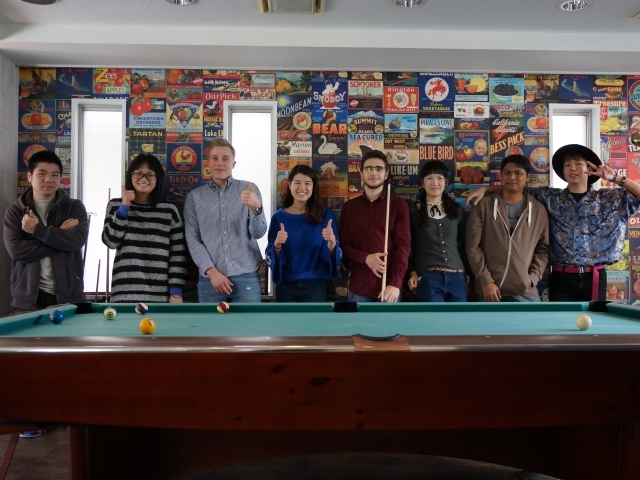 Many international students practice here probably because it is located in the center of the metropolitan area. Most of you might think that Shaolin Kang Fu is one of the martial arts in China, but they say that it was created in southern part of Japan. Exploring the city, you can find lots of things and have lots of interest like he did. 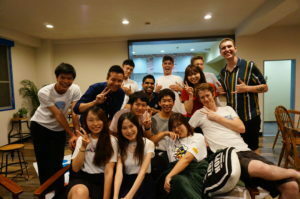 This school accepts people of international nationality; some students and teachers are from overseas. 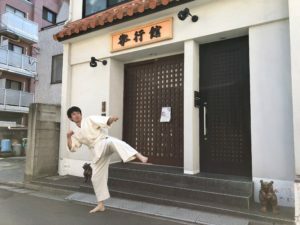 A global “dojo” (meaning “school” for martial arts in Japanese). 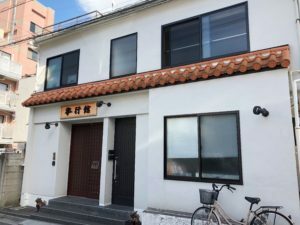 Also, there is another dojo for Aikido martial arts, located just 4 minutes from the closest station to our property “Wakamatsu Kawada St.” . Actually, this dojo is Aikido World Headquarters. This martial art is especially popular in France and Russia; therefore there are lots of international students practice day in and day out. It is a good environment where you can develop mental strength through martial arts. 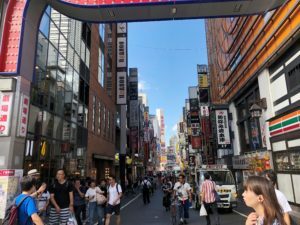 Some might think like, “the life in a big city is not relaxing”, but there are lots of things other than concrete buildings here in Tokyo and Shinjuku area. If you take a little walk or ride on bicycle, you will see lots of nature. 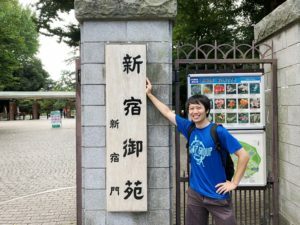 Just 10 minutes’ ride on bicycle from our property, there is a huge park named “Toyama Park” which has places for sports activities like a swimming pool. Shinjuku Gyoen has lots of green, too. 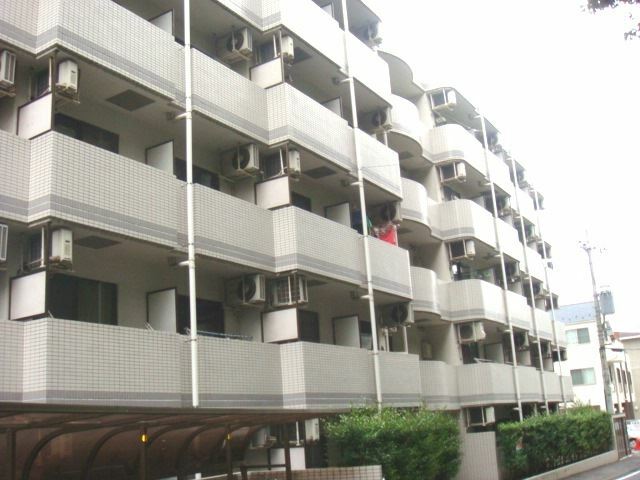 Our property itself is in a residential area, making you relaxed. It won’t be so much fun just studying or working every day. But here are green nature, places for hanging out, and sightseeing spots. 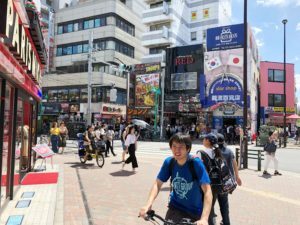 Train lines are plenty, and using Busta Shinjuku, you can take a trip to a far, different city all over Japan. 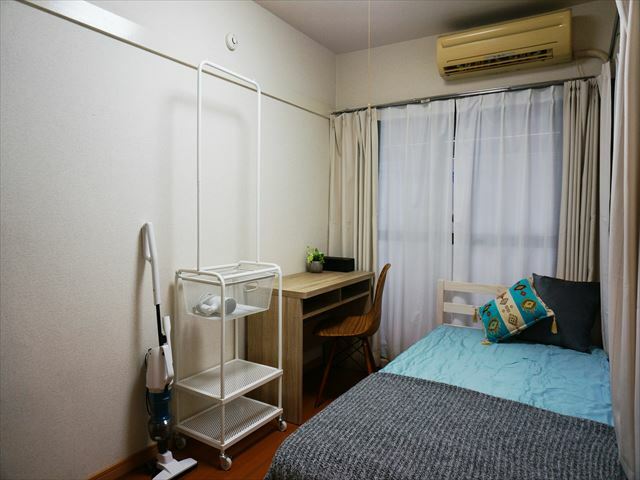 We are anytime looking forward to your inquiry on Shinjuku one room apartment and to meeting you. 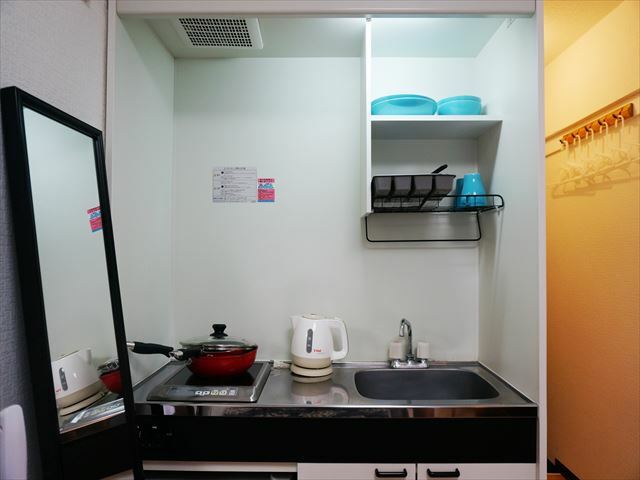 Our staff will be happy to show you the room. 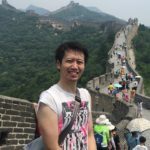 We all have experiences of staying overseas! !